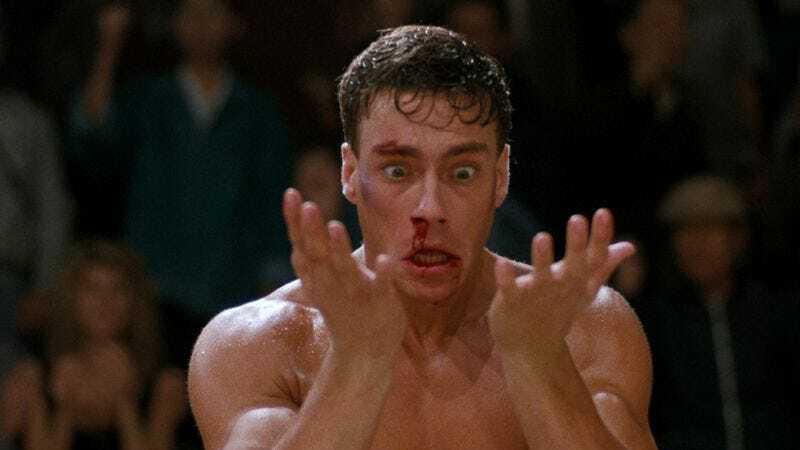 Belgian bruiser Jean-Claude Van Damme is perhaps one of the entertainment industry’s bloodiest action stars, and now he’s got the super-cut to prove it. The cut, by Ubisoft trailer editor Benjamin Combes, condenses Van Damme’s entire career in the killing-people business into 30 minutes of pure murder. All 27 years and 393 kills are present and accounted for, from Van Damme stabbing a guy to death with a chicken bone in Sudden Death to electrocuting a guy with a dishwasher in Timecop to shooting 248 guys to death in every movie he’s ever been involved in. And while 30 minutes sounds pretty long for a super-cut, rest assured that there’s precisely zero filler—which, when you consider the total kill count sums up to 393, half an hour seems pretty brisk.